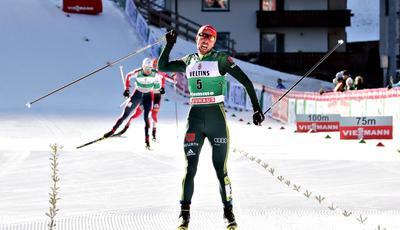 Germany’s Vinzenz Geiger and Johannes Rydzek went one - two in the second Individual Gundersen of the FIS Nordic Combined World Cup in Val di Fiemme. 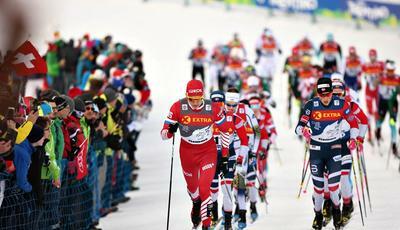 In the cross-country race, they were able to overtake the Austrian Franz-Josef Rehrl, who was the first to start in the 10 km, and who then closed fourth. The Japanese Akito Watabe was able to close in third place. During the morning jumping round in Predazzo, a shy sun came out to warm the air. 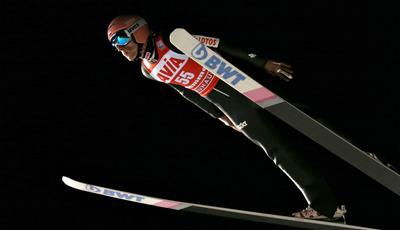 On the large hill of the Giuseppe Dal Ben Ski Jump Arena, the Austrian Franz-Josef Rehrl got the better of him with a total of 143.1 points, gaining the pole position in the cross-country race. The Pole Szczepan Kupczak (134.6 pt) finished 34 seconds behind the leader, while the Japanese Akito Watabe (134.1 pt) closed with a 36 second gap, followed by Geiger (+0.37), Yamamoto (+0.40), Rydzek (+0.42), Bjoernstad (+0.42), Weber (+0.55), Seidl and Schmid within the one-minute gap. In Lago di Tesero the Austrian Rehrl started very well, but his direct chasers immediately worked to keep the pace steady and high trying to close the gap. Kupczak gave immediately up slowing his pace (he closed 28th); Geiger, Rydzek and Watabe instead gained metres and after the first lap their gap decreased by more than 30 seconds. On the 'Valena' uphill they closed the gap to the Austrian and shortly after Rydzek and Geiger attacked getting the lead. Watabe and Rehrl were forced to accelerate to close the gap to the two Germans. The tactical action of the Germans saw them taking the lead in a series of constant changes; it seemed that the two would arrive together. But on the 'Brink' uphill Geiger set his attack leaving behind his teammate and crossing the finish line alone. Rydzek was just behind. 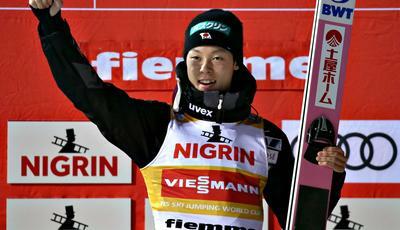 In the fight for the third place Watabe managed to drop Rehrl. In the updated World Cup standings, the first two positions remain unchanged: The Norwegian Jarl Magnus Riiber – who didn’t take part in the race today – is still the leader with 730 points and the German Johannes Rydzek is in second place. Third place for the samurai Akito Watabe who has benefited from today's result and passed the Austrian Mario Seidl, who is now on fourth position. Vinzenz Geiger, who was in seventh place, is now in fifth. Graabak, Rehrl, Frenzel, Riessle and Bjoernstad follow in order. Alessandro Pittin, the first Italian athlete is still in 14th position, but he jealously keeps the provisional bib of best skier. 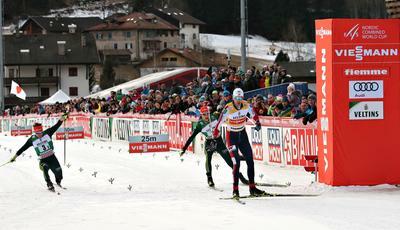 The Nordic Combined World Cup now moves to Chaux-Neuve (France) for the next weekend's appointment. Tonight, at the Ski Jump Arena of Predazzo, there is the second Ski Jumping race which will be followed by the flower ceremony.